Bring the whole team on board easily with Bitrix24 invitation options. Share links for your Bitrix24 account with your future employees, freelancers, society members, partners, clients, etc., they will be able to join your Bitrix24 within few quick steps! 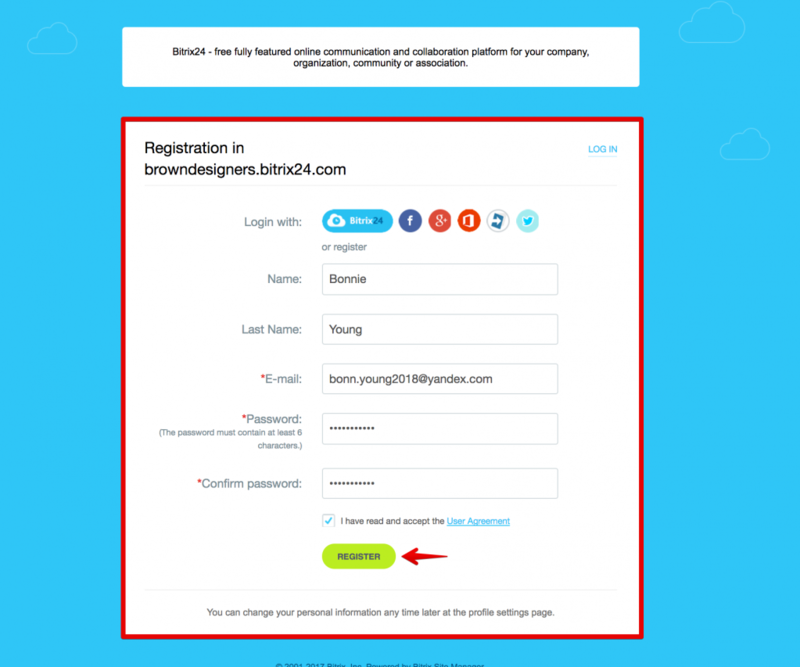 Public: if you have an open type of community or society where everyone is welcome to join and no confirmation is demanded, you can choose "public" registration option, which will allow any user who has registration link to your account to join your Bitrix24 without any actions required from your side. This type of registration is created mostly for open communities such as non-business entities – NGOs, associations, clubs, volunteers, communities, coops, homeowner associations, churches, alumni groups, etc. Moderated: users will be able to request registration to your Bitrix24 and join it after confirmation from Bitrix24 administrator. 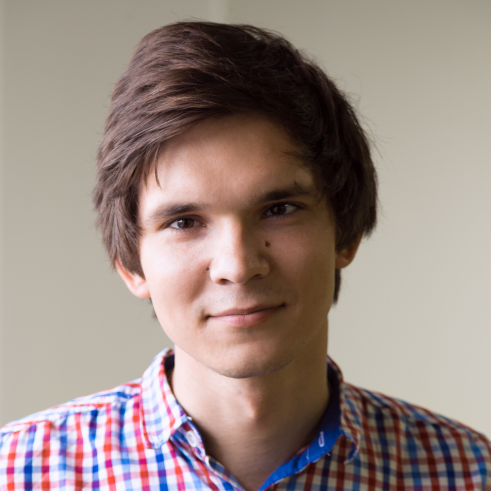 Don't require confirmation for domains option: no confirmation required for users with particular approved mail domain names. 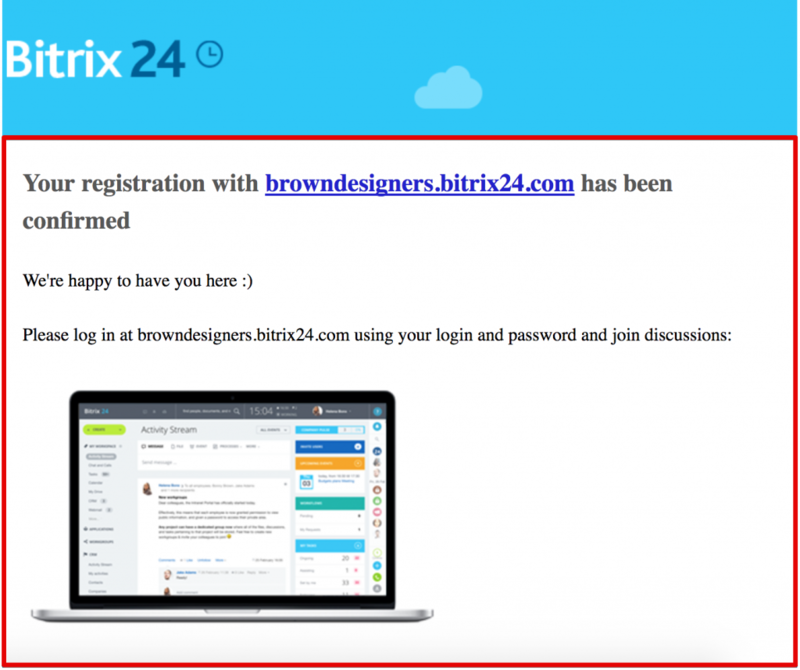 Bitrix24 administrators can add mail domain names condition which will allow users with such approved email addresses to join Bitrix24 by quick registration link (no confirmation of Bitrix24 administrator is required). The quick registration option can be turned on\off in Bitrix24 Settings > Account Settings > Allow Quick registration. 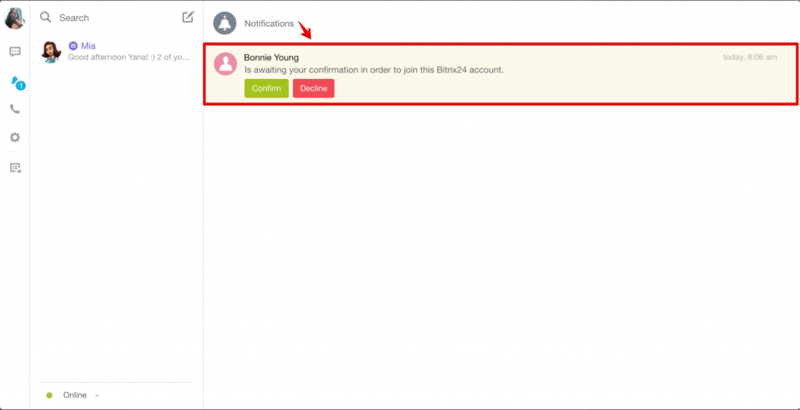 There is also an option Allow everyone to invite new users to this Bitrix24 account. That's it! 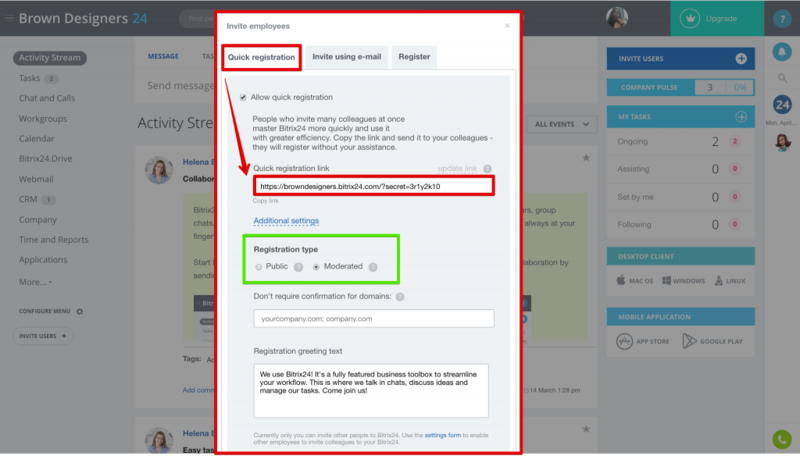 You can share quick registration link with anyone since Bitrix24 offers communication tools for unlimited users!